Compare the trucks of these two box cars. Follow the post for tips on weathering wheelsets and trucks. In our freight car building and detailing adventures, we sometimes forget about finishing the wheelsets and trucks that carry the latest builds around our model railroads. 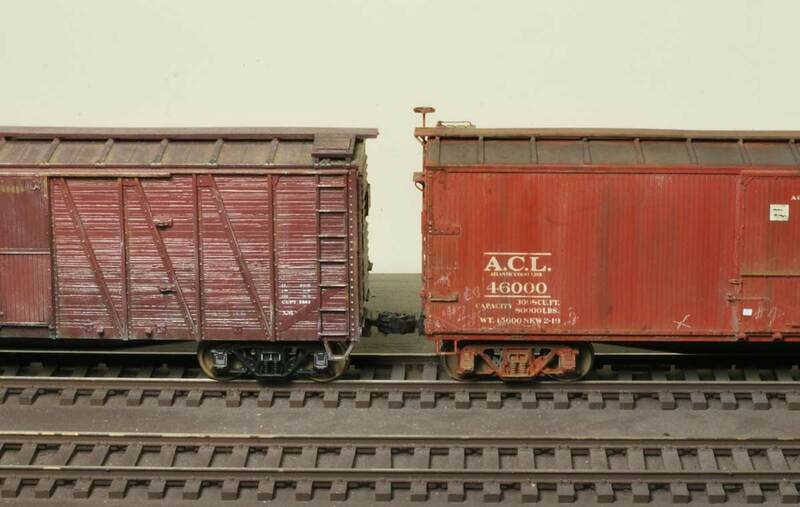 Here are a couple of tips to enhance these components and the final freight car effort.